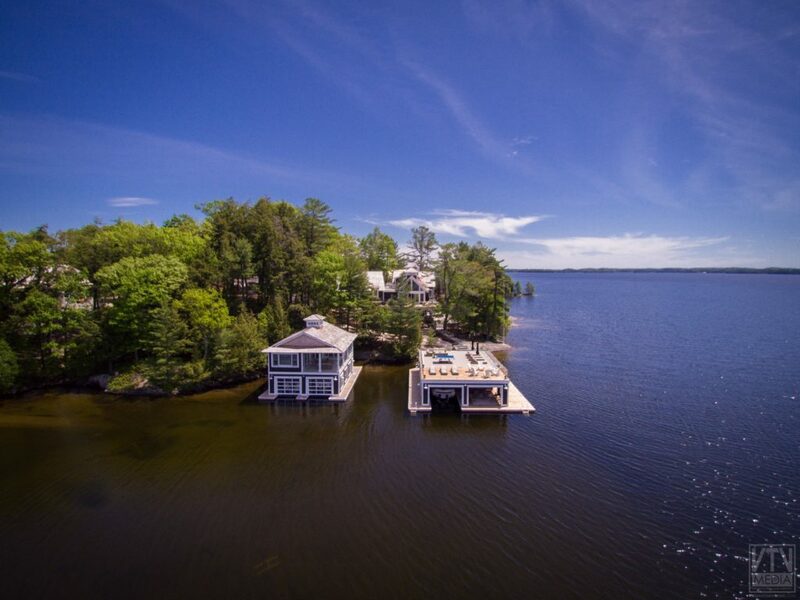 Evergreen Point – Clarke Muskoka Construction & Project Management Inc. This is the largest project Bob and Marnie have taken on together. 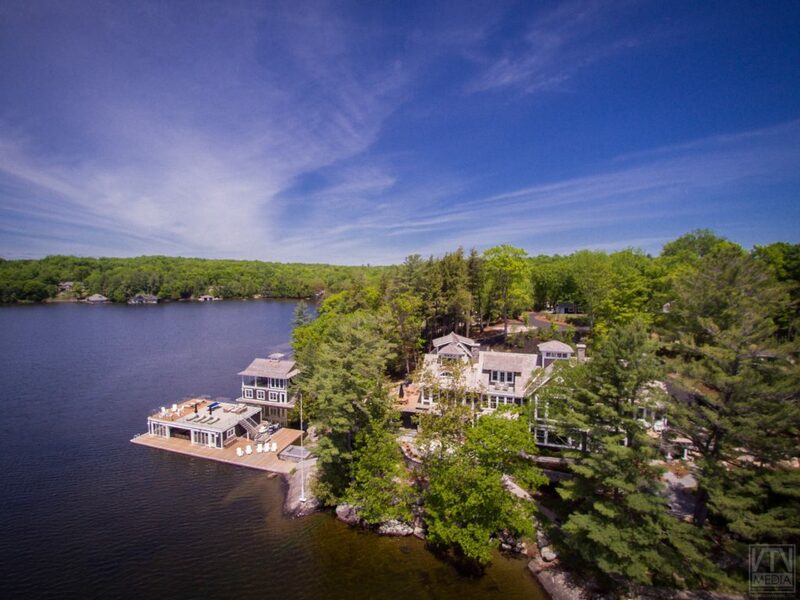 Evergreen Point began as a 2 cottage, 4 boathouse property but when it came up on the market in early 2014, Bob along with partners envisioned something different for this unique piece of land. 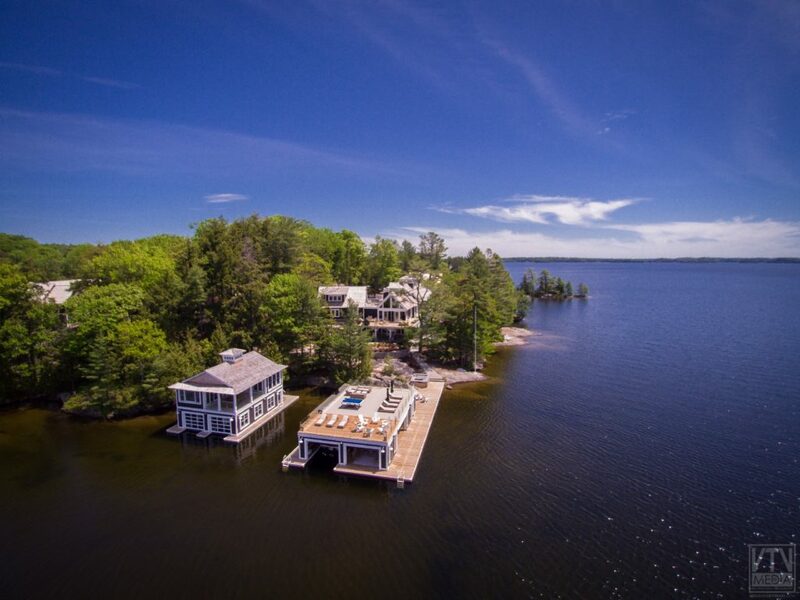 After getting approval to divide the property into 4 separate deeded lots Bob along with 2 other developers have been turning the point into a show stopping line-up of new Muskoka builds. During the division of land Bob and Marnie acquired 2 of the original boathouses and have been renovating them through the winter, they are expected to be done by mid-July. While their new cottage is being built, Bob, Marnie and their daughters have been living in one of the original cottages. 2016 Update: The Cottage, 2 Boathouses & Landscaping have been completely finished. Bob & Marnie are home sweet home and look forward to spending their summer settled in their latest project.